Rosetta finally tells New Zealand their story. 2010’s A Determinism of Morality moved on from celestial themes, focusing on increased melodic sophistication while honing a confrontational urgency. 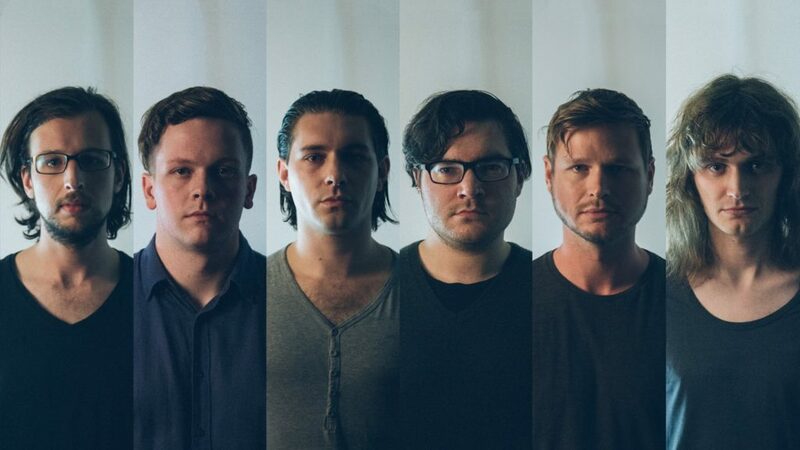 After concluding a decade-long partnership with Translation Loss Records in 2013, Rosetta embraced their newfound independence with the self-funded, pay-as-you-wish album The Anaesthete. The darkest, most unsettling album of the band’s career also marked their greatest success so far, recouping costs in 24 hours and remaining the top-selling release on Bandcamp for nearly a month. 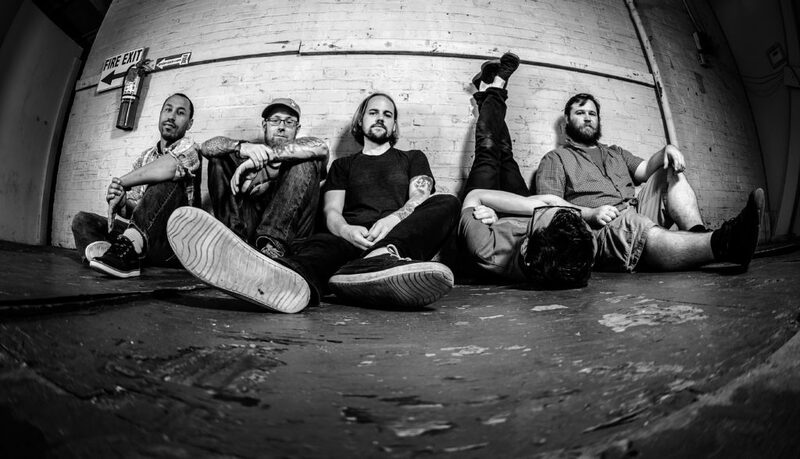 2015’s Quintessential Ephemera, Rosetta’s first effort as a five-piece, received widespread critical and audience acclaim for its energized guitar interplay and evolution of the band’s core sound. With Utopioid, Rosetta has again upended their stylistic palette. But as always, with ever deeper gratitude for the investment of fans around the world, they continue to search for the intersection of heaviness and beauty. Forging ahead as a fully-independent band, Rosetta returns in 2017 with Utopioid, their sixth full length album and most concept-driven work to date. Written as a four-part song cycle that treads multipolar extremes of texture, dynamics, and harmony, it reaches the highest heights and the deepest lows of the band’s career. An unflinching study of human aspiration, frailty, and betrayal, the album is equal parts mysticism and biography. Utopioid tells a story in sounds, encapsulating and transcending the band’s 14 years of sonic experimentation. 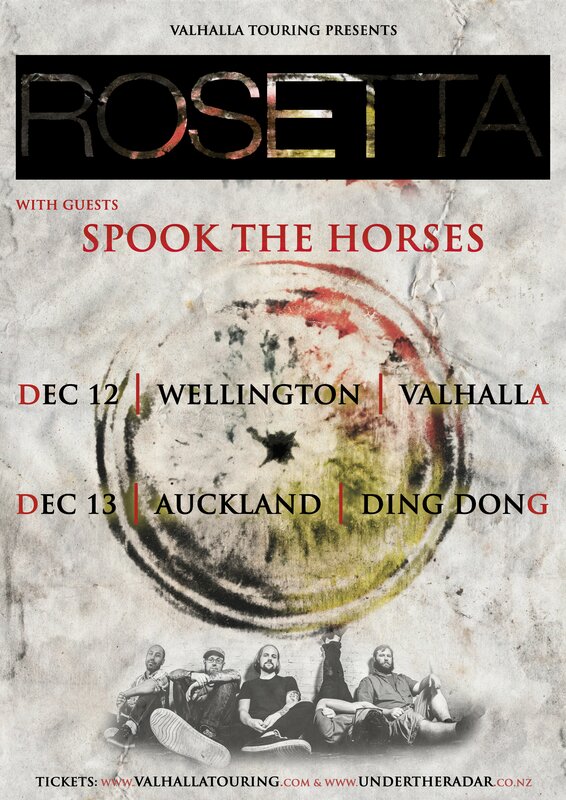 Touring with Rosetta, are Spook the Horses, Wellington’s own mercurial, experimental band. Their third album ‘People Used to Live Here’, a sonic departure from the rapturous ‘Brighter’ and the rumbling, desolate ‘Rainmaker’, will be released November 10th 2017 on Pelagic Records.